I worship that ALavandhAr who is the best among the yOgis who revealed the vEdhAntha principles which are difficult to comprehend, in sthOthram (SlOkams of praise) format to be understood easily by all. I worship ALavandhAr again and again. I cannot stop paying obeisances to him. 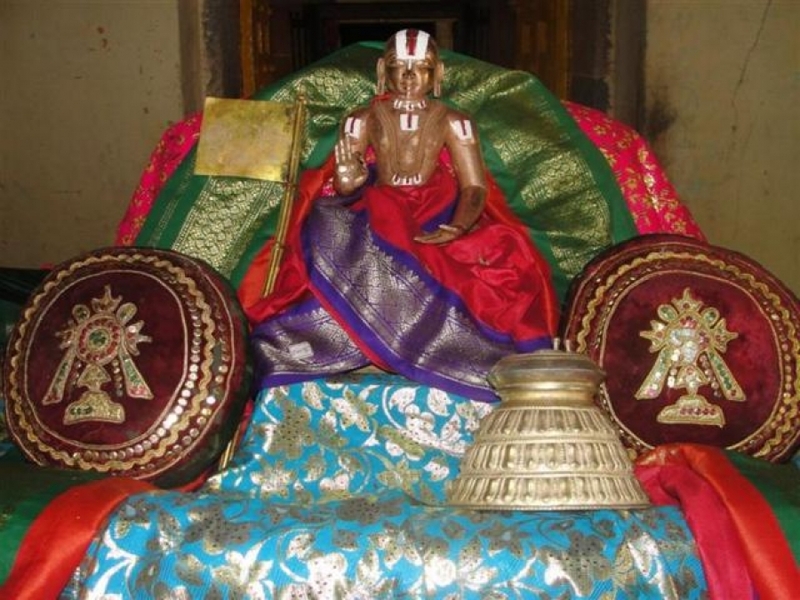 In the next article, we shall see the avathArikai (introduction). This entry was posted in Other, sthOthra rathnam on December 11, 2016 by Sarathy Thothathri.